http://www.thunderproducts.com/u_f_o.htm, the same company that makes the Dial-a-jet. These pics are a brief sequence of the steps involved in the installation. I spent a few hours doing this, but was also playing with a few other things on the bike at the same time, since the tank and seat were off. If done as a dedicated job it could be completed in less than an hour. 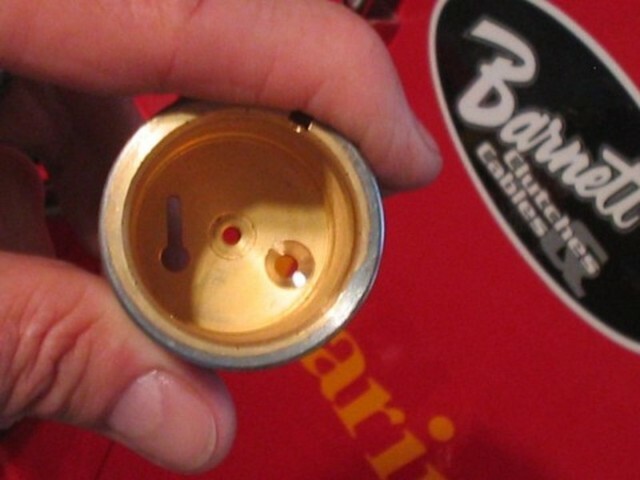 Keep in mind that this is a mod for a Mikuni VM roundslide carb only... not a stock CV or an Amal. It may be possible to adapt this to an Amal if the measurements are close enough. Turbulence created under stock slide. 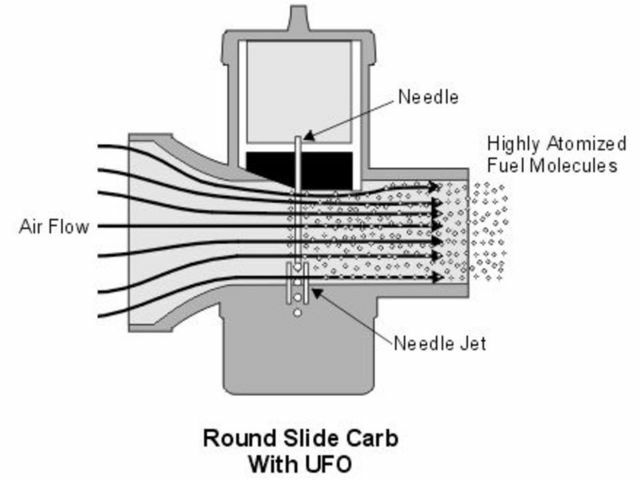 Flow under the UFO modified slide has a higher velocity and is much smoother, resulting in much better atomization of fuel. 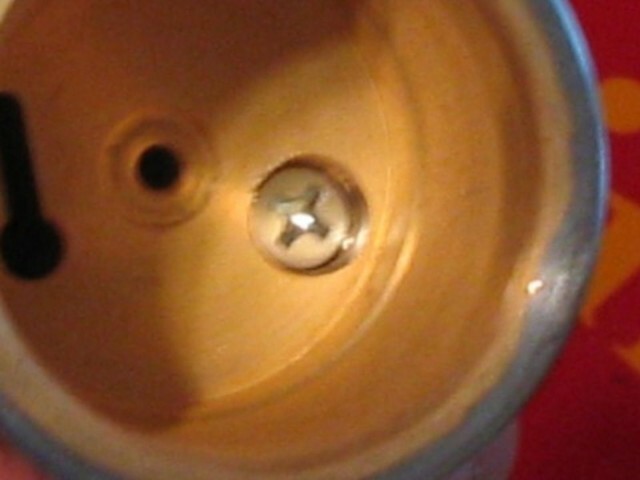 Locater disc used to figure where to drill hole for locking screw. Yep, it is pretty deep. UFO after installation...note the shape of the bottom of the slide now...much better than the deep dish shape before. It is very aerodynamic now. This modication made a noticeable improvement in throttle response from just off idle to 3/4 throttle. It was almost as if another lower gear had been added. It pulled much stronger than before. The UFO device is designed for low-midrange performance, not full throttle power, and it does it very well. **Insert: According to the company info this carb mod will make a remarkable improvement..."Typical power increase is 1 HP per 100cc of engine size or more". That is quite a statement. One of the data sheets that came with the package shows results from 4 dyno runs on an 800cc 3 cyl engine. There were 2 runs at half throttle and 2 at full throttle. One eace was in stock form and the other with the UFO. By the way, with the UFO in place the pilot jet needed is drastically changed. The 36mm VM uses a stock #35 pilot jet, after I made the mod I started with a #20 pilot and it is still a little rich. The instructions with the UFO recommend going HALF of the stock jet, so when starting with a #35 it should go down to a #17.5. I did not have one, but did have a #15 and #20, so I used the #20. It still puffs a little at idle when the throttle is cracked hard. At 1/2 throttle the hp went from 105 to 117, and torque from73 to 82. Full throttle hp went from 150 to 154, torque from 96 to 98. If this holds true for most engines, then we should expect a 5-6 hp increase for the savage ...and that is a LOT. *Not bad at all for such a simple and cheap change. By the way, the part cost $30. Interesting. One of those things I've never considered but it makes perfectly good sense. If they start making them for the Mikuni BS40 I'd like to try it out. From the info on the website it doesn't sound like they will be making the UFO for any carbs except the VM's. The UFO was designed specifically for the VM in order to correct a specific weakness. Just measure the ID of the bottom side of the slide and contact the guy at Thunder Products. The UFO is made for the Mikuni VM but it may also work for the Amal as long as it fits up inside the bottom cavity of the slide. 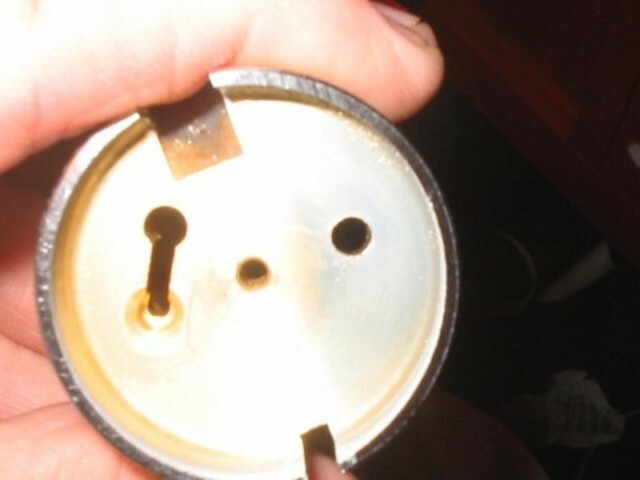 The 36mm VM has a 35mm ID in the slide bottom. The UFO is ordered based on that measurement. I am not sure of how many sizes they have. 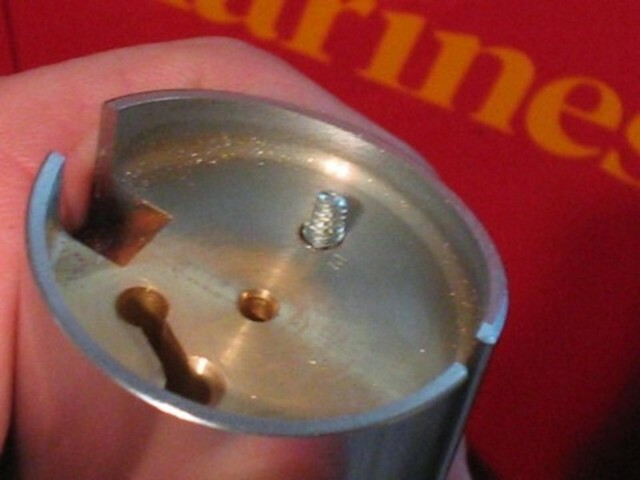 For countersunk screw, any chance we could get away w/ a flat head (e.g. button head)? or is there some performance reason to use a flush mounted screw? 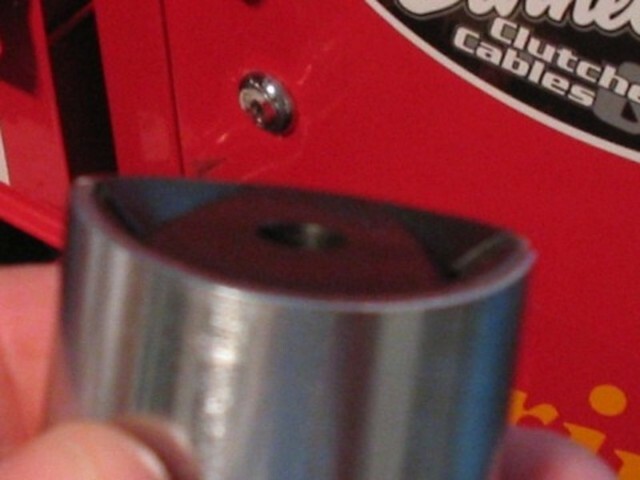 There is a metal disc on the inside of the slide that acts as a locking mechanism to hold the end of the throttle cable in place so it does not come loose from the slide, so yes, it is necessary to countersink the screw. So, the idea is to smooth the flow by plugging the end of the slide. Why wouldnt a guy be able to fit something in there himself? Like, a piece of one of those plastic cutting boards? 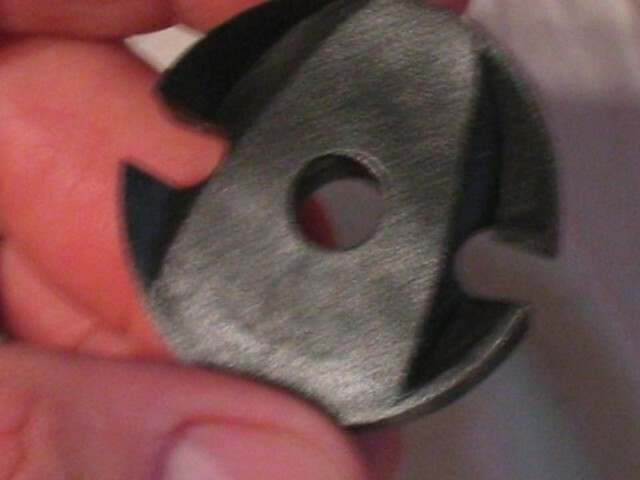 I noticed some shaping of the parts in the pics, not just smooth plastic. 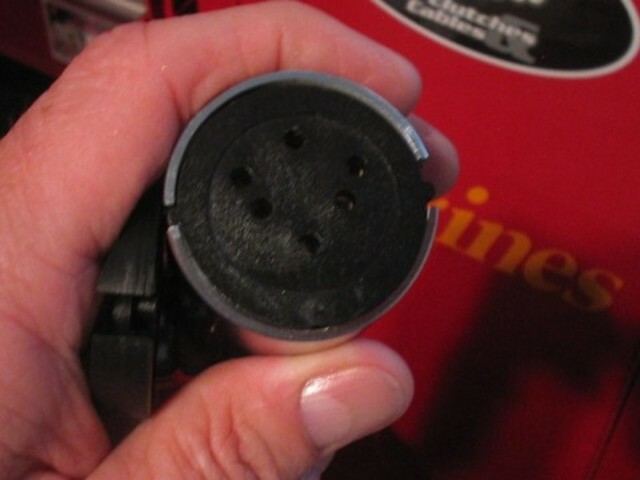 Are those to fit something in the bottom of the carb? Would a flat hockey puck do the job? There's always more than one way to skin a cat. You could use all sorts of different plastics, or even fill the recess with JB weld then shape it back with a dremel, but whatever you do would be fiddly and take time. The UFO fits beautifully, is well made and takes a couple of minutes to set up - for the price, it saves you more time than you pay for. Lancer, like yours mine ran very rich at idle, even with the air bleed drilled. I'll be opening the hole out a little more next time, and maybe using the 15 jet. 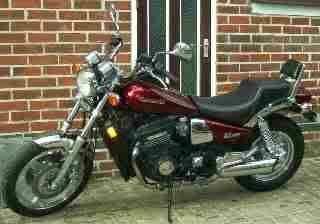 Been too busy with work to fiddle with the bike for a month or two but I need to do this - she puffs black at idle. Running through the range is great though - really sharp throttle response at all speeds, though I still need to decide what to do to uprate the clutch (more than just the stiffer springs fitted now) so she can handle the extra torque from my other mods without slipping. Yep, at just $30 the UFO is cost effective as is, and is pretty easy to install. A performance increase could be achieved with most any material that can be cut/drilled/shaped to fit the space in the bottom of the slide, but as mentioned would take more time. It all depends on what you want to do; spend a few bucks or take the extra time to custom make a similar piece. The point is though, when installed on the slide of the VM carb this thing does a remarkable job of improving performance. Thunder Products claims (backed up with dyno tests as proof) that the UFO will increase power by 1 hp for each 100cc of engine displacement, which is amazing for such a simple mod but it does work. Most of the power increase comes in the low-midrange too, which is great since this is where we ride most of the time. For the Savage/S40 engine this means a potential 6-7hp increase by just adding the UFO to the VM carb. I really wish I had the money to do an extensive dyno evaluation of the all the assorted parts available for the Savage engine. It would be very interesting to see how it responds to the different setups. If you want to see the data behind the UFO performance, you can go to the Thunder Products website and read the dyno test results. As a point of interest, the UFO is not just a smooth shaped filler for the slide. 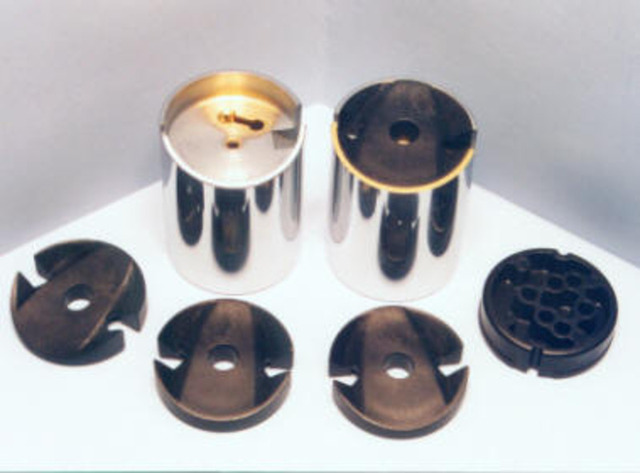 It does have a unique shape on the bottom which has been developed through a lot of dyno testing to maximize air flow and atomization of the fuel air mix during engine operation. I do not know what the performance increase would be on just a smooth filler piece but it would certainly be less than the UFO as developed currently. 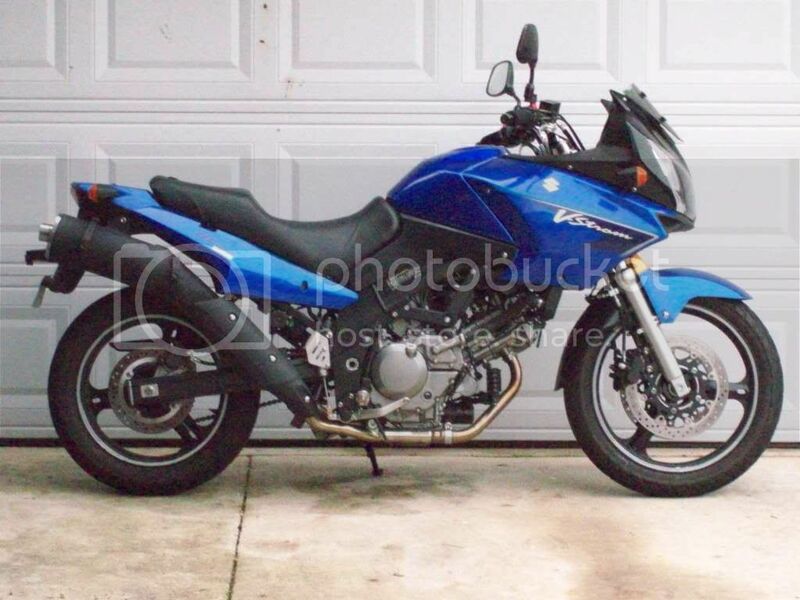 Further to my post 2 above, I’ve done a little more work setting the bike up. She was running very nicely on the throttle with the UFO but I was having trouble getting the idle mixture right – running way too rich (getting black puffs at idle, and a sooty plug) as mentioned in Lancer’s first post. The UFO creates more vacuum under the slider which draws fuel up from the needle, so you need something like half the size of idle jet you’d otherwise have. If the engine still runs rich, it comes with instructions to drill out an air bypass hole to compensate too. Well, I tried this starting with the smaller recommended size of air bypass and that was running way rich still on my smallest idle jet, a 20. I bought 2 more jets, 17.5 and 15, but it still ran way rich even with the 15. I opened out the air bypass a lot more (within the maximum recommended limit) but it was still too rich at idle, so I tried soldering up one of the idle jets, which is also mentioned in the UFO instructions for some applications. That sorted the mixture near enough – BUT even with the idle screw all the way out and the throttle full closed, too much air was flowing under the slider and the bike was idling too high. I double and treble checked everything for correct fit and position, reassembled and ran her up a few times, still the same. I’ve now removed the UFO and gone back to a 25 idle jet, which seems fine. I’d like to refit the UFO, but don’t see how to sort the idle mixture. One thought was that the UFOs are designed mainly for snowmobile applications – maybe when you’re in really cold thick air they run fine, but they might run too rich at idle when it’s warm. Lancer – yours was running rich too wasn’t it? Have you had this problem or did you manage to sort it? Before taking everything apart for the rebuild I had the #15 pilot jet and had drilled the hole to just slightly larger than the max hole size that they mentioned in the instructions. With that setup I had the adjusting screw out at about 2-2.5 turns out. I felt like it was just a hair on the rich side but I had no black smoke and it idled fine. I could turn it down lower if desired. I did not get into solder anything. I assume your throttle cable is not pulling on the slide and keeping it from setting down normally. What exhaust setup do you have ? The throttle allows the carb slider to seat all the way down, I made fully sure of that (I can turn the engine off with the idle screw now the UFO is out). The UFO was seated fully in the recess, not sitting proud or at an angle or anything. I considered going even bigger on the bypass hole (I took it as far as 2mm, getting close to the largest recommended), but the exhaust was still so rich it puffed black at idle, so I didn't expect a little more on the hole would fix it. Maybe I should have just gone up more on drill size - after all, .5mm diameter would be a big % more area. The exhaust is a 60mm Raask drag pipe. Also running raised compression, ported head, your camshaft and pod filter. Needle is set one step richer than centre which runs well through midrange. The motor is a real pleasure - the VM carb and Lancer cam work a treat together, starts first spin, strong idle, smooth response, plenty of torque and more top end than the clutch can hold if I really wind her on. Not just an LS650 - she actually earns the title Savage now. I went back and checked the drill bit size I used for drilling the hole and it was as close to a #40 size drill that I had, and it was just a hair under 2.5mm. You might try that and see how it goes. I just installed a UFO on my VM38. It seemed to idle very rich with a #10 pilot in, so I soldered a jet closed. I'm struggling now to get the UFO to seat fully. It sits open some such that I can't turn the idle speed screw out far enough for the engine to die. It idles around 1200 RPM now, pilot jet soldered close and the air mixture screw only an 1/8th of a turn out. I might drill the extra air bleed hole and then go back to the #10 after I finally get this sucker to seat properly. 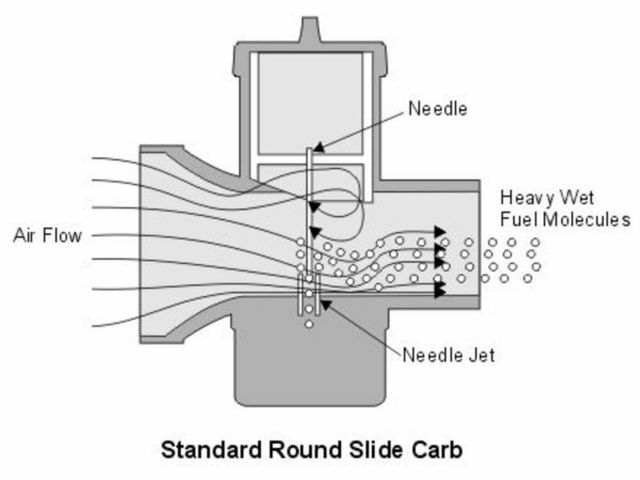 On the VM carb, the pilot screw will lean the mix when turned OUT. Turning in IN will richen the mix. This is opposite from the pilot screw in the stock carb. You still have 2 7/8 ths to turn out and make it more lean.